During my junior year of high school, I was beyond delighted to see Gossip Girl, a book series, come to life on the small screen. Seeing S, B, N, and Lonely Boy in real life against the New York City backdrop was enough for me to convince my parents that we should take our annual vacation to the city instead of Arizona. After a lot of persuasion they agreed, and I have been bit by NYC's bug ever since! 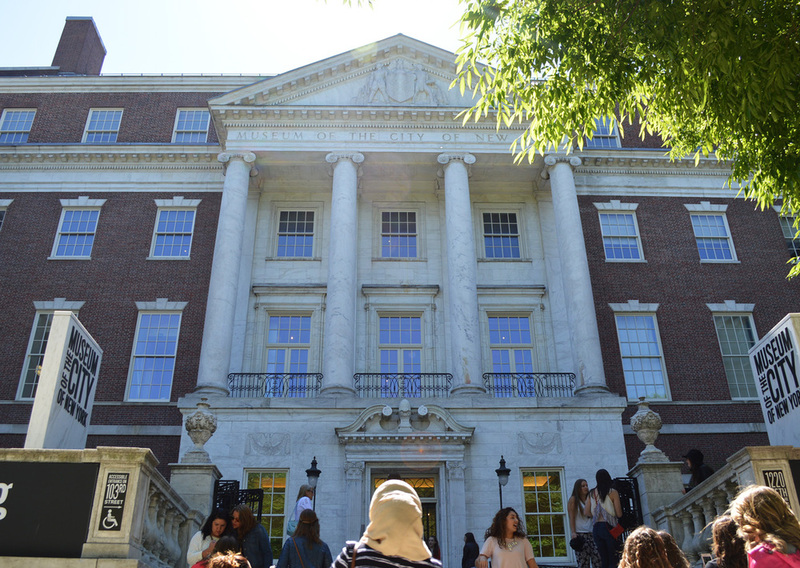 Seeing as last weekend I was able to visit the city for the fifth time, I was excited to join On Location Tours for their Gossip Girl Sites Tour to scout out locations where the show was filmed. Our tour was Saturday at 10 am and there were two coach buses - one full and one about half-full. 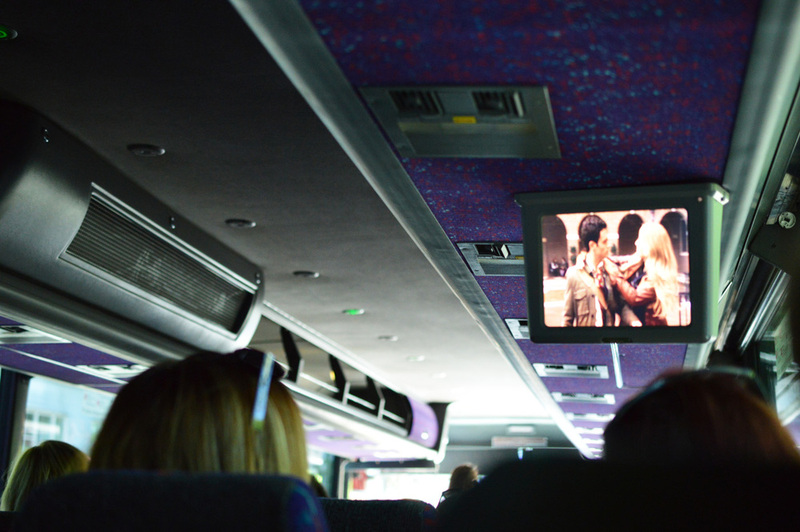 We would drive to different locations and watch scenes from the show that corresponded with what we were seeing in between. The tour lasted about three hours. For some locations we would get out and have some time to explore or take photos, and for others we would just drive by them. As we drove up 5th Avenue we discussed our favorite characters from the show and watched a few clips. After driving by one entrance of Constance/St. Jude's, the characters' high school - filmed at Synod of Bishops Russian Church - we stopped and got out to take photos at Museum of the City of New York, which was used as the other entrance to the school! After Dylan's Candy Bar we stopped at Bendel's for some headband shopping, because you know, we ALL have to channel our inner Blair Waldorf. 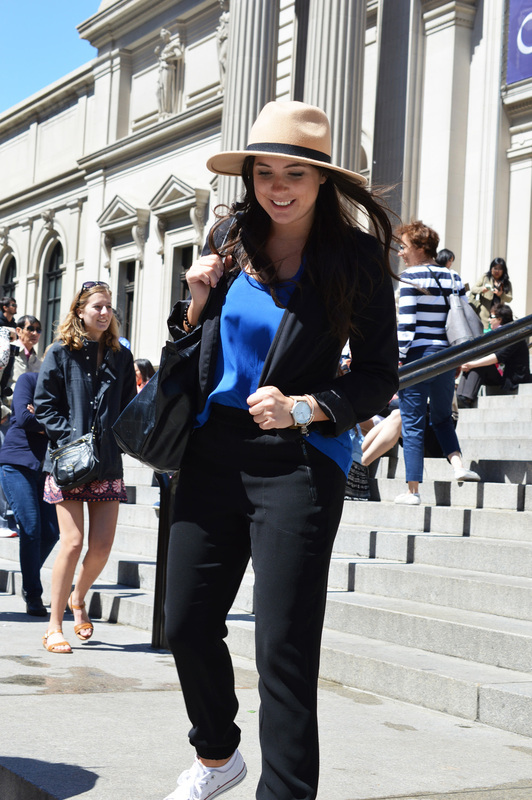 Since everyone wants to be Blair Waldorf - channeling her can only go so far - we simply couldn't pass up the Metropolitan Museum of Art. The MET steps were B's "throne" in the early seasons as she, Serena, and her minions would sit and have yogurt before school. 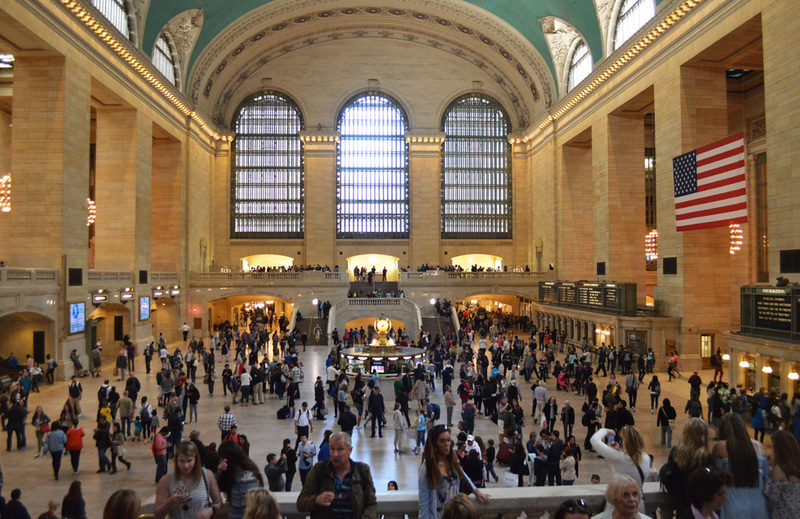 Grand Central Terminal was one of my favorite spots because that was where the series' opening scene was filmed: after Dan and Jenny meet their dad upon arriving from a summer in Hudson, Serena is also "spotted" getting off the train. Aw, now I'm nostalgic. 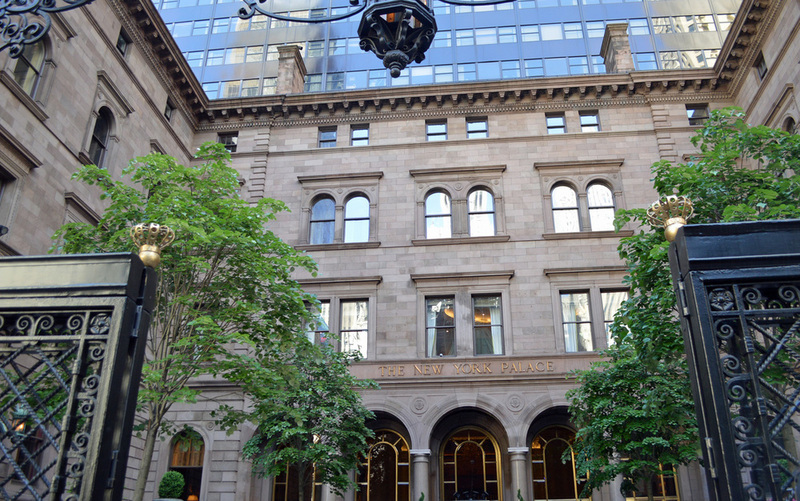 We also scouted additional locations, including the New York Public Library, The Carlyle Hotel, Laduree, The Empire Hotel, and the Pulitzer Fountain. While we had a break to check out the Empire, I was exhausted from taking a red eye flight the night before and opted for an iced coffee instead. 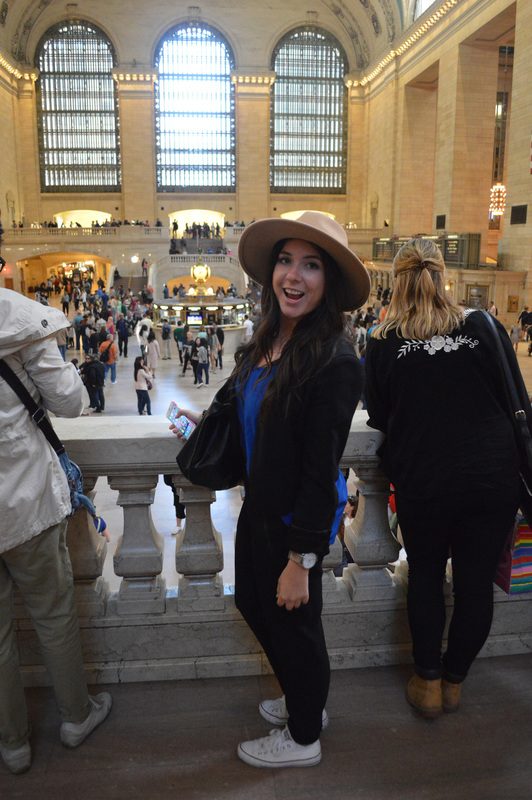 It was a fun way to spend a morning in New York, and I'd definitely recommend this tour for any Gossip Girl super fans! Go Seek Explore was invited to this experience as a guest of On Location Tours. Opinions are always my own. 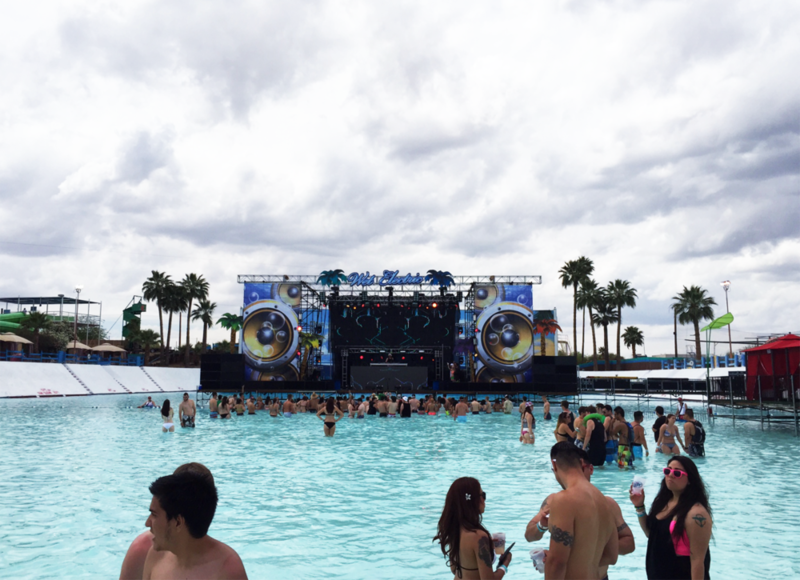 When I got the opportunity to attend Wet Electric on Saturday for free (a friend won free tickets and gave me one) I was beyond excited to go to what's known as "North America's Biggest Pool Party." The event was held at Big Surf Waterpark in Tempe, AZ on April 25-26, 2015. We got there around 1 pm. The event ran from 11 am to 9 pm and had an assortment of DJs playing at the wave pool all day, and around 7 pm the headliner Tiësto came on stage. The floating stage was at the far end of the wave pool. First we stored our stuff in a locker ($10/day) before exploring the event space at the park. We saw there was also a headphone disco ("silent disco") where you could trade your ID temporarily for a set of headphones. We returned to try that out a little later but didn't stay very long. There was a makeshift "bar" set up near the wave pool where you could buy an assortment of drinks, including: $10 mixed drinks, $12 vodka + Monster, $8 Jell-o shots (which came in a plastic syringe - like a "shot"), and some canned beers. There was a decent assortment of drinks/alcohol to choose from, but it wasn't a "full bar" considering it was a makeshift table set up area. After a few hours of listening to the DJs in the wave pool, we made our way to a food stand and shared a $9 plate of chicken strips and fries. The chicken wasn't very good, but that is to be expected from a water park. No outside food or drinks were allowed into the park (understandable) so we knew there was going to be limited healthy/quality food and it would be inevitable to eat it since we were there for so long. Tiësto came on at the end of the night and his set was my favorite from the day. The wave pool was filled with the crowd and every time the beat dropped everyone would start splashing. We were drenched! It's safe to say that you shouldn't worry about doing your hair (or curling it beforehand like I did - ha!). This was definitely a different experience than when I saw Calvin Harris and Alesso at Super Fan Fest earlier this year. Looking back on the day, the event was underwhelming and I think I had built it up in my head to be more fun than it actually was. We were waiting to experience the Saturday event to decide if we wanted to purchase tickets for Sunday because we wanted to see Dillon Francis and the other DJs, but decided it was not worth it, despite having a decent ticket price compared to some other concerts. It would have been worth it to maybe just have come an hour or so before Tiësto - not because the other DJs weren't good, but because the event seemed to drag on. Also, the bathrooms increasingly became dirtier as the night went on, which is to be expected (and has nothing to do with the event company since it's the location), but I'd rather not experience using those restrooms again. However, I will say that they were well-stocked and never ran out of toilet paper, soap, or paper towels. Lastly, since it was at a water park there weren't chairs/lounge chairs like you'd have at a typical hotel pool/beach club. There were cabanas you could purchase beforehand as an optional upgrade, however, they didn't seem worth the price and looked kind of cheap. The picnic tables we sat at to eat our food were dirty with trash from the people at the event. I had expected the event to be more in the likes of a Las Vegas-style beach club, but it was not the case in my opinion. My second visit to Vienna was earlier this year for a work trip. Since my first visit to Vienna was only a day long, my short taste of the city left me longing for more. I was in Vienna for nine days during my second trip, which left much more time to explore the city, try more foods (like sachertorte! ), and learn more about the culture. Vienna is not only the capital of Austria; it is the capital of music. With the likes of Mozart, Strauss, and Beethoven hailing from the city, it is no wonder that there are plenty of ways to partake in listening to classical music. While going to the opera house is a popular option (who can beat standing-room-only tickets for only a few euros?!) I'd definitely recommend a concert at the Schönbrunn Palace. 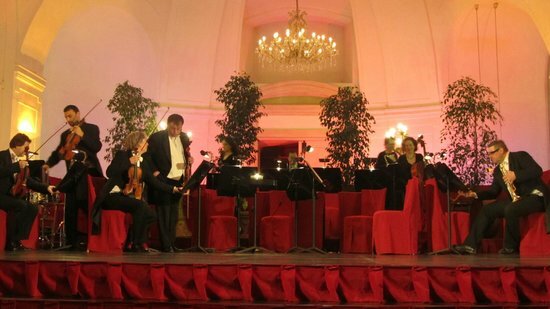 Our large group had a private concert one July evening at the Orangery inside the palace. Before heading in, we took some time to wander around the grounds and gardens. Once we were inside, we took our seats to watch the show. To be completely honest, I was expecting good classical music but not much more than that - but I was completely blown away by how entertaining the show was! The music wasn't just good, it was incredible. And there were singers and ballerinas that accompanied some songs, which made it even more entertaining. The musicians had great stage presence and some were a little goofy to add to the humor of the show. The end felt like it came too quick, and as we were giving our applause, I didn't want it to be over. It really was that good. They don't allow photos or video of the concert, so I don't have any personal ones (the ones on this post are from around the web). I'm hoping my memories will suffice enough until I get a chance to head back to Vienna and go to another one of these concerts. 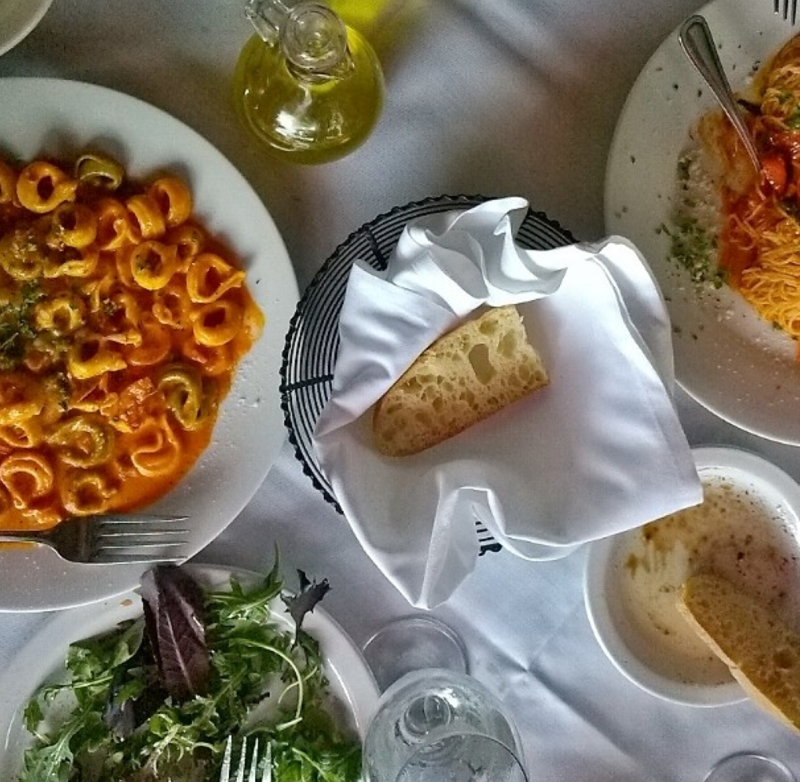 After spending about six months in Italy, I had my fair share of traditional Italian food. It was an amazing time over in Italy in terms of cuisine, because in my opinion, Italians do it best when it comes to cooking. After returning to the States I had eaten at some Italian restaurants here and there, but the quality just wasn't at all up to par with Italy. (No offense, Olive Garden...) It was when I tried Andimao, though, that I was transported back to Florence with a single bite of my gnocchi. This small restaurant in downtown Bellevue (east of Seattle) is located on the corner of 110th Ave and 10th St. There are tables and chairs outside on the sidewalk (reminded me of Italy) and there is a relaxing atmosphere inside. Of the three times I've been there, the service has been excellent. Everything from the pasta al dente and insalata mista to the silky, pure olive oil and the little basket of bread tasted exactly like it did when I dined out in Florence. I've had the tortellini in prosciutto sauce (pictured, left) and the gnocchi with bolognese. I always recommend this place to friends when they're in the Seattle area. This was not sponsored. I just loved it so much I had to write about it!